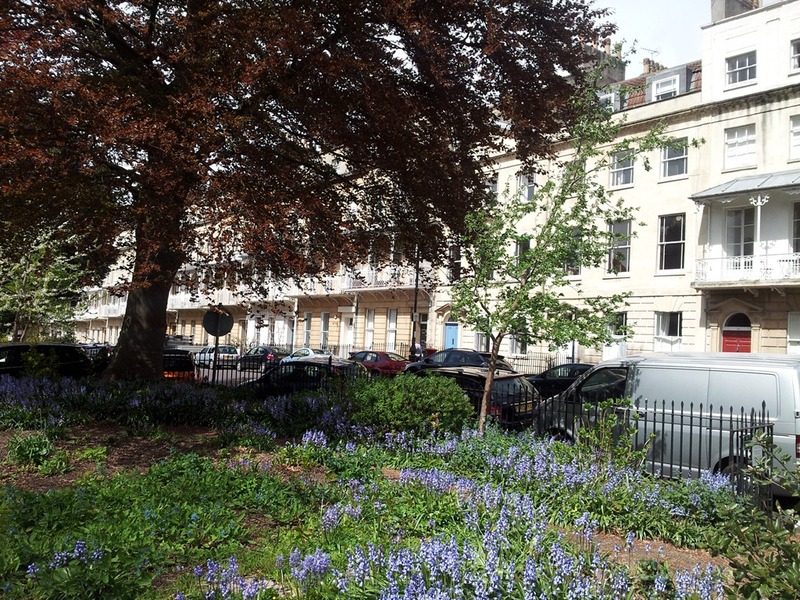 Although it’s now very much part of Bristol, the leafy suburb of Clifton used to be outside the city limits, only being formally incorporated into the city in the 1830s. 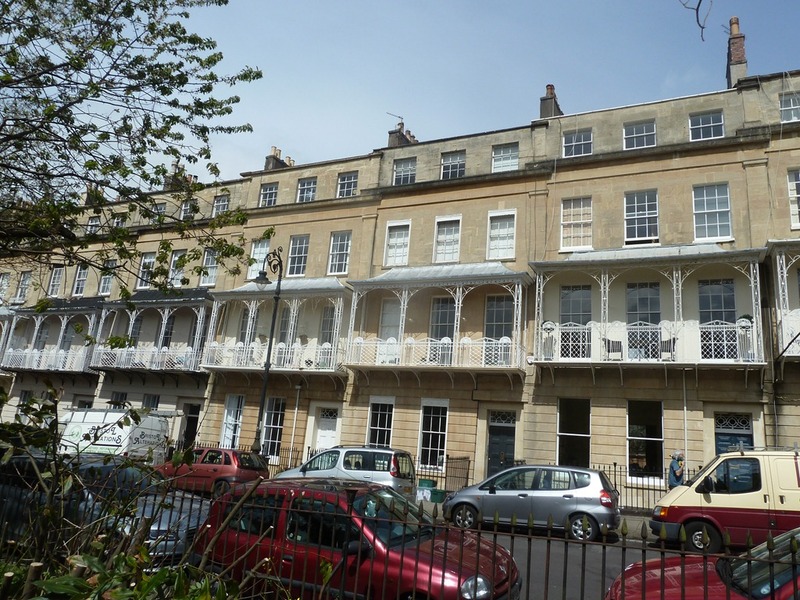 The area developed rapidly in the late Georgian period when wealthy Bristolians wanted to move out to a pleasanter environment. 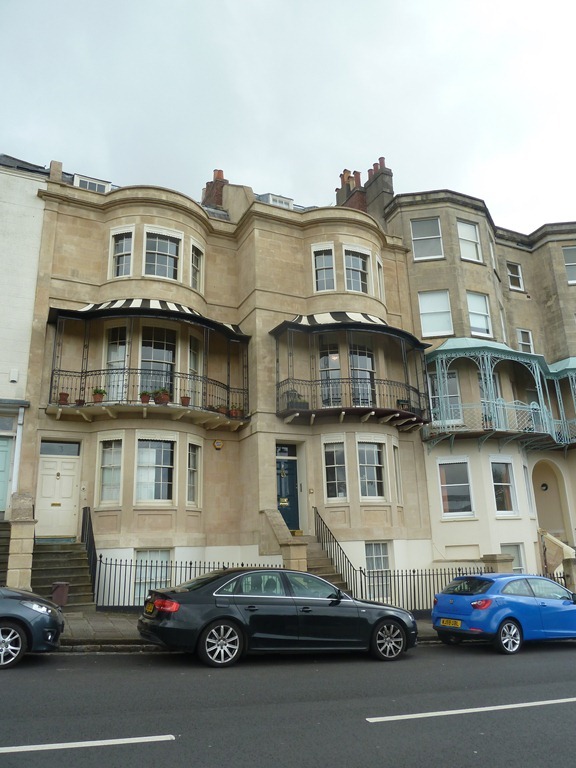 Because of when the development of the area occurred it is dominated by Georgian / Regency and Victorian style houses and other buildings. 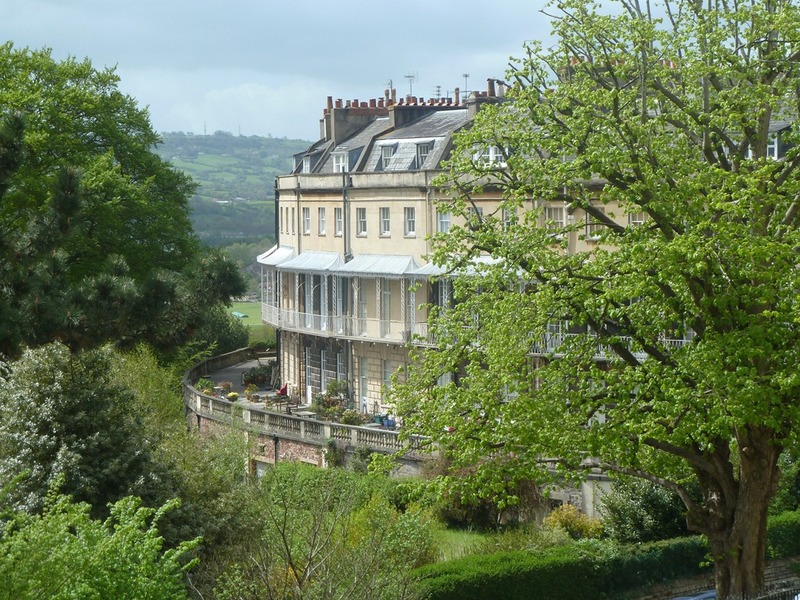 These very typical Georgian houses are on Sion Hill, in a prime location overlooking the Clifton Suspension Bridge. I suspect that the balconies are later additions. 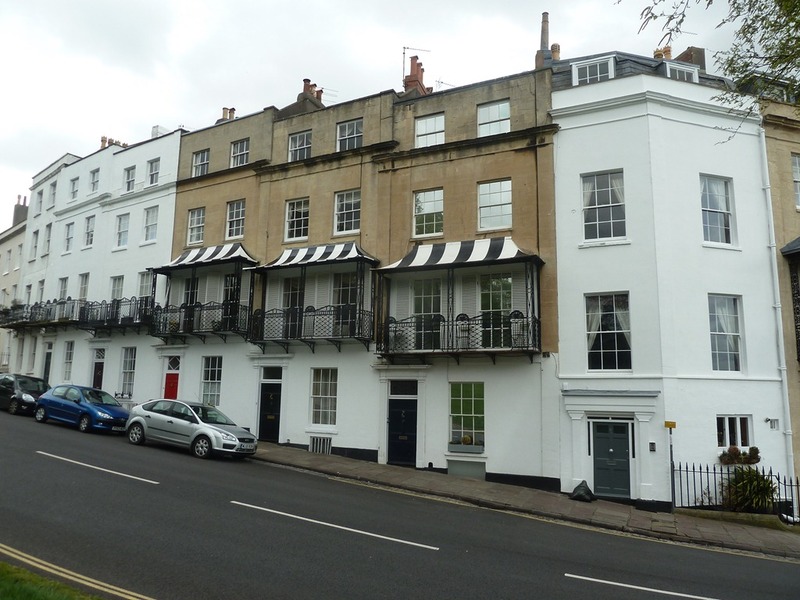 These three houses, further down Sion Hill, have interesting black and white canopies over the first floor balconies. These houses have bow and bay windows, unusual compared to most of the Georgian houses I’ve seen around the country. 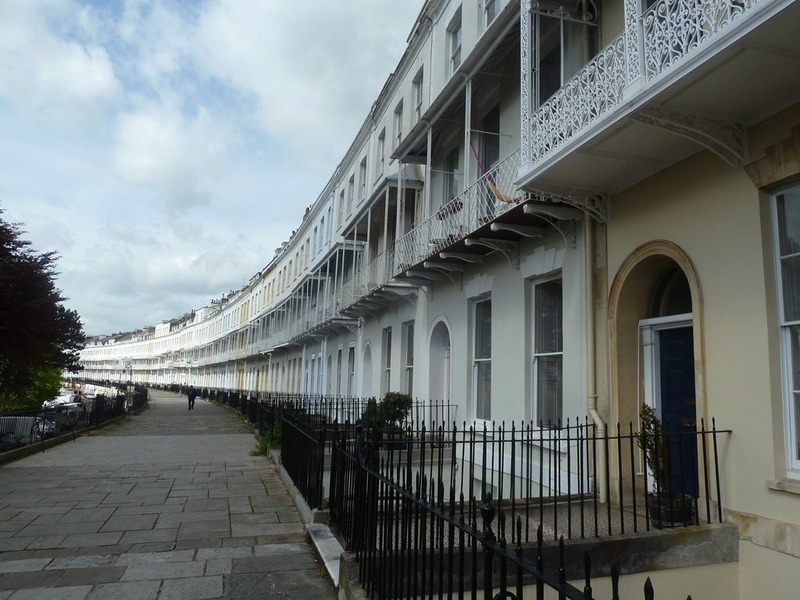 Although there are plenty of individual style houses, Clifton has more examples of the planned Georgian terraces and crescents than the city centre. 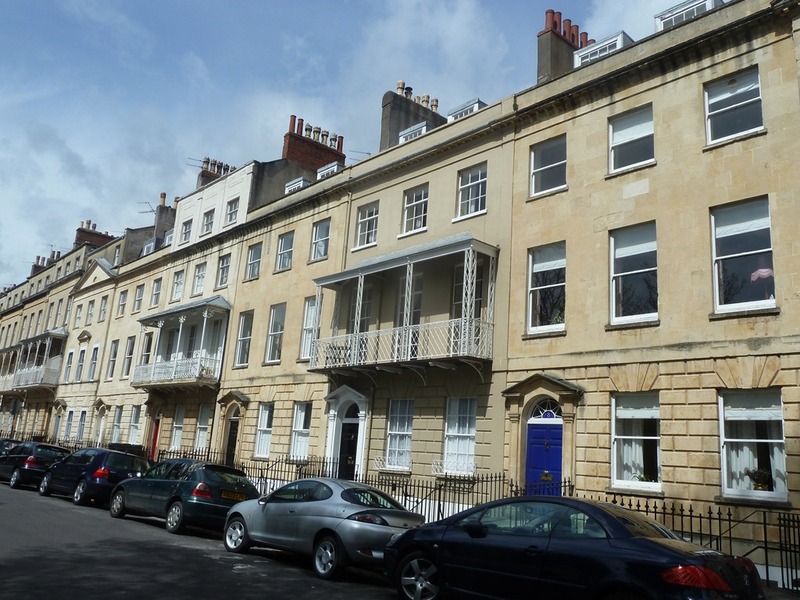 This is Royal York Crescent, a late Georgian development. The stuccoed houses are rather plain other than for the balconies which are their dominant feature. 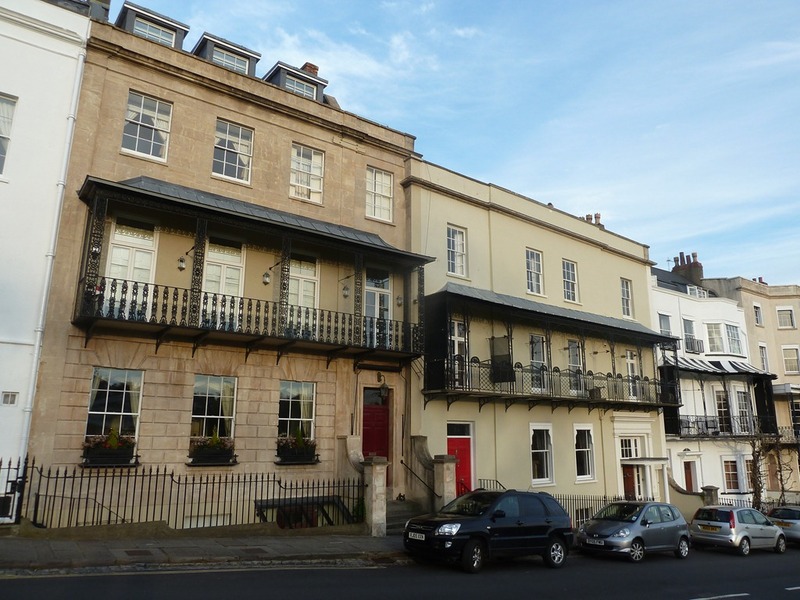 The crescent is built up on a vaulted terrace so the houses are in an elevated position overlooking the River Avon. 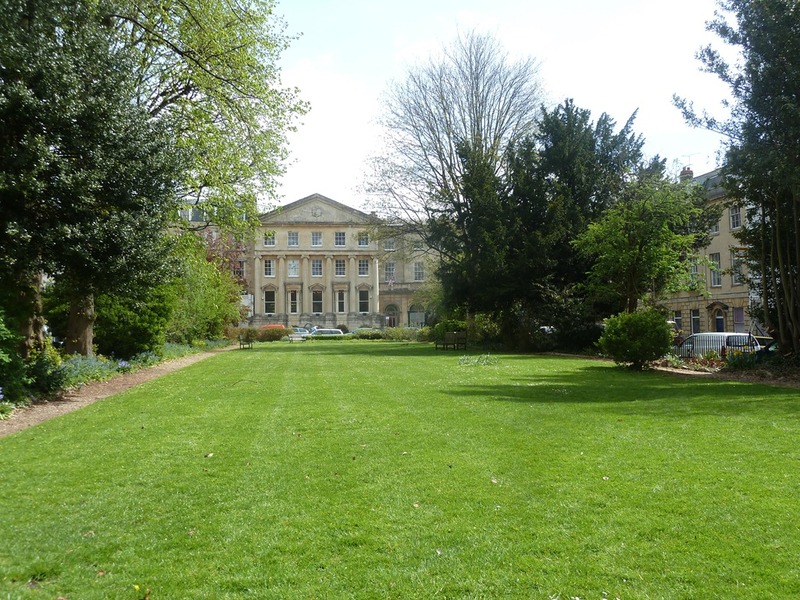 This is the central section of a grand building that stands at the top end of Caledonia Place, a long narrow square with typical Georgian and Regency houses built around a pleasant garden. 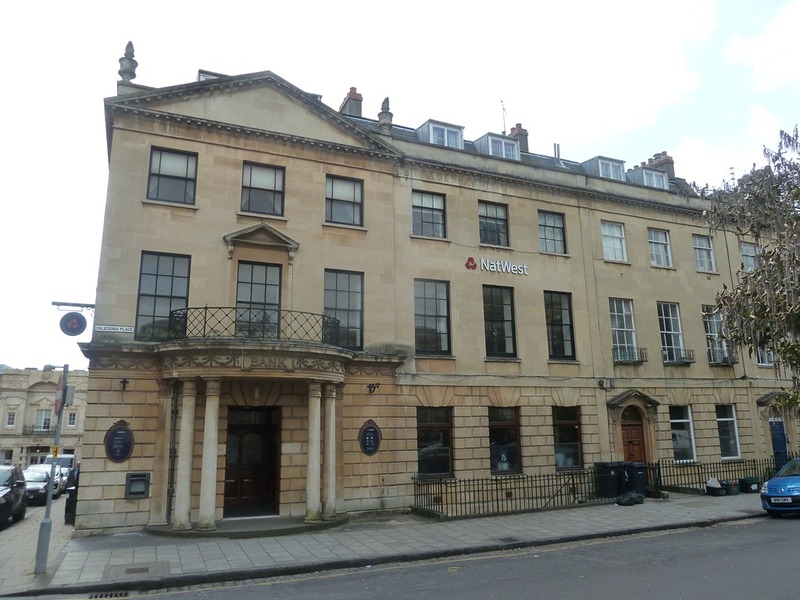 It was originally built as the Clifton Hotel and Assembly Rooms, so quite an important building in it’s day which explains the very ornate design with the triangular pediment, tall ionic columns, pedimented ground floor windows and rusticated base. The wings of the building, which aren’t in the picture, also have a number of ornamental flourishes. Here’s a longer view of the building from inside the garden in the centre of the square. The buildings on the east and west sides of the square were built in two phases. The older phase, at the top end, on both sides consists of a terrace of houses built as a “mock palace”. 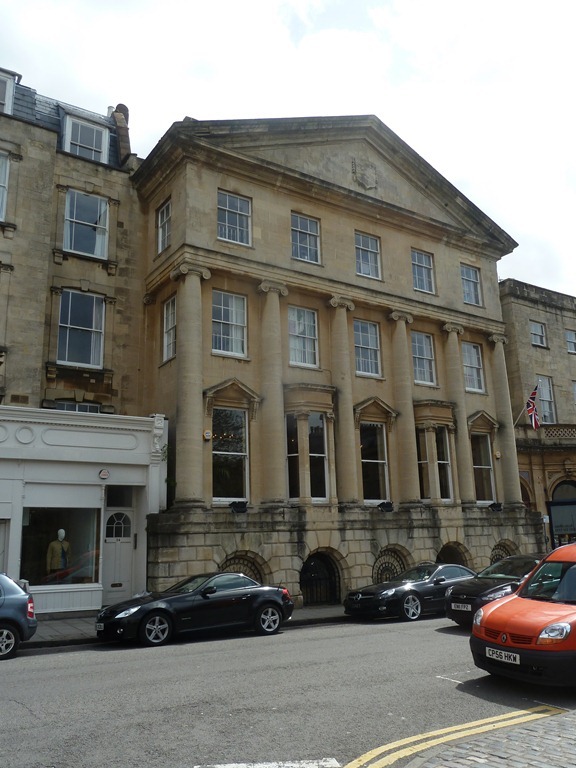 The houses at both ends and the centre of the terrace are pedimented and project slightly forward. There have been a number of modifications over time to some of the houses, included first floor iron balconies (these really must have become fashionable in Bristol at some point, they’re everywhere) and extensions on the roof, which, to me, ruin the roof line and the overall look of the terrace. They wouldn’t be allowed by today’s planning laws. The top house on the east side has had some substantial modifications adding a balcony supported by Corinthian columns which were made in the 1920’s when it was first converted into a bank. A view from the central garden across to the west terrace. The houses at the southern end of the square are also built as terraces, but to a simpler overall design and with no attempt to pretend they’re a grand palace. They al have first floor balconies which seemed to be identical and so where probably part of the original design. Another view from inside the central garden. A good display of Spring bluebells evident too. 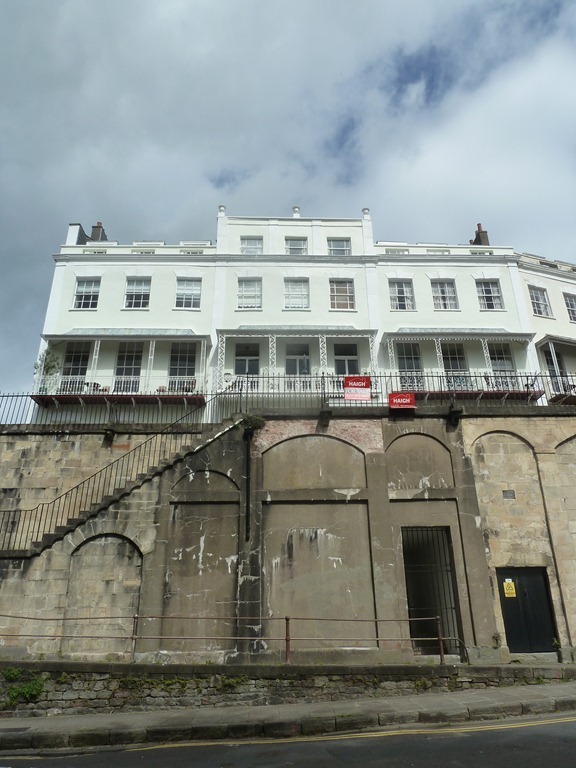 There’s a lot more to Clifton than we were able to see during our short visit to Bristol. As well as the Georgian and Victorian Houses there’s a modern Catholic Cathedral, opened in the 1970’s, that I’d have liked to have seen. Another time perhaps. This entry was posted in Architecture and tagged Architecture, Bristol, Clifton, Georgian, Georgian architecture by ms6282. Bookmark the permalink. 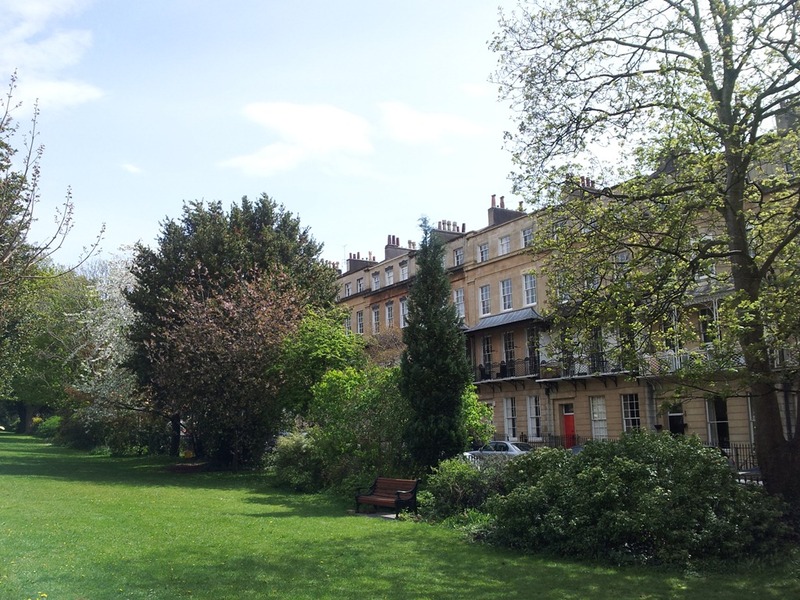 It’s great that so much of Georgian Bristol is intact.I’ve never been there but your posts have rectified that! I think they lost a lot of buildings during the blitz in WW2, but have done a good job at renovating many of the old buildings that survived.